Since BatesCarter consistently exceeds clients’ expectations, we saw this not only as a strong positioning in the marketplace, but one that was not being utilized—therefore making it a perfect choice for the BatesCarter positioning and tagline. 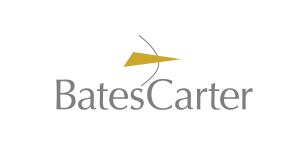 It clearly emphasizes the fact that BatesCarter always goes the extra mile for their clients. This initiative won two AAM-MAA awards in 2011 from the Association for Accounting Marketing: Logo Design and Corporate Identity Package for firms under $15 million annual revenue.